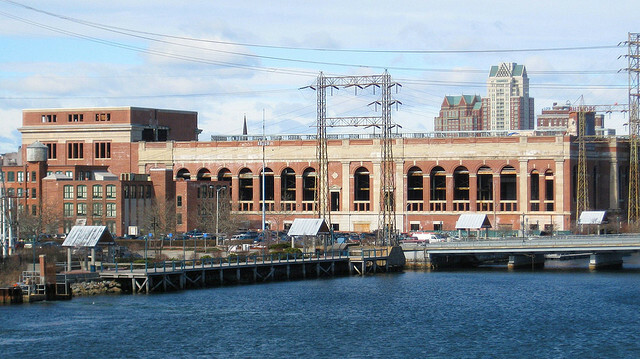 The New York Times reports that Brown University may be interested in redeveloping the South Street Power Station, better known as the location of the stalled “Dynamo House” project. According to James S. Bennett, director of economic development for Providence, “serious” possible tenants have looked at the building in recent months, though he declined to say who they were. Sources knowledgeable about the site said that Brown University might be interested since Dynamo House is in the city’s Jewelry District, where Brown has expanded in recent years. Mr. Bennett said the city had made finding a new use for the building a priority, and would not consider the alternative: “It’s not going to be torn down,” he said. Greater City Providence: What’s going on with the Dynamo House?